I&apos;m having some serious difficulty installing and running the new DJI Flight Simulator software, and I&apos;m hoping someone can help me. I downloaded the installer from https://www.dji.com/simulator/info#downloads. I launched the installer. It installed a bunch of stuff. I immediately launched the simulator software. After launching, the program told me there was an update to version 2.1.0.1 that I needed to install. I let the program uninstall the original version and install the updated version. So far, so good, or so it seemed. When I launched the simulator, the window in the first reply below appeared (I couldn&apos;t get the image to display in this first post). I don&apos;t see any way to actually launch the simulator. Why is there an "Install" button at the bottom left of the window? The software is already installed. Why does the "Installation Location" point to a bogus location on a non-existant D:\ drive? The program was installed in the directory C:\Program Files (x86)\DJI Flight Simulator. P.S. Before anyone asks the inevitable question, this is a Windows 10 PC with all the latest and greatest updates. 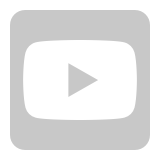 Hello larryc43230. I am sorry to know that you are having issues installing the DJI Flight Simulator. I understand that you are using a Microsoft Windows 10 computer. Please make sure that your system is running on a 64 bit rate. Because, as of the moment the DJI Flight Simulator runs on a 64 bit rate platform. Yes, this PC is running a 64-bit version of Windows. I wouldn&apos;t have begun this process otherwise, I knew of the software requirements. On maybe the fourth attempt to get the software up and running, I tried changing that "Installation Location" to the correct directory on my C:\ drive. At that point, several GB of additional stuff was downloaded, and I was eventually presented with a window that had a "Run" button. That started the simulator software, and after a bit of fiddling and guessing I was able to select Mavic Air as the drone to be flown. I connected the Mavic Air remote controller with a known-good USB cable, but the Mavic Air remote controller refuses to stay connected via USB. When I connect it with a USB cable (one I&apos;ve used many times for other reasons with the remote controller; the problem isn&apos;t with the cable), I hear the Windows chime indicating a connection, but after a few seconds I hear the Windows chime for a disconnection. This continues for as long as I keep the USB cable plugged in: Connect/disconnect/connect/disconnect, ad nauseum. Windows keeps connecting, then disconnecting the USB connection. After spending the past two hours searching these forums (and watching Device Manager carefully with the remote controller connected to the PC via USB, without the flight simulator software running), I&apos;ve determined that the correct USB drivers for the remote controller were either never properly installed, or were removed and not replaced when I upgraded DJI Assistant 2. Can anyone advise me as to how to install the USB drivers for the Mavic Air remote controller? If I can get those installed, maybe the flight simulator software will work. Otherwise, unless someone can point me in the right direction, I&apos;m giving up. Hi Larry, thanks for keeping us updated. Just to verify, the RC has been powered on and the software has been launched, right? Does the issue remain if connect with DJI Assistant 2? Alternatively, you may refer to the below operation to confirm: Turn off the Simulator and RC, re-plug the USB cable, turn on the RC, then turn on the Simulator to see whether it works. Please keep us updated on the latest progress, thank you! Hi Seb, it looks like the installation folder was failed to be created, please try to change another disk(not the system disk) and ensure that there is enough space for installation to see whether it works, please keep us updated on the latest progress, thank you! When trying to use the simulator software, the RC was powered on and the software had been launched. The problem occurred when I connected the RC to the computer with a USB cable. That was when Windows played the "Connect" chime, then the "Disconnect" chime, and then repeated that sequence until I unplugged the USB cable. I&apos;ve already tried connecting the RC to the computer without any software running (the simulator or DJI Assistant 2). Windows plays the same sequence of chimes, Connect/Disconnect/Connect/Disconnect, until I unplug the USB cable. I launched Device Manager, and saw that a component appeared and disappeared in sync with the chimes, under "Other devices". The component was named "CDC ACM Data". I right-clicked on the device (when it appeared) and selected Properties. After I heard the Connect chime, the status read "The drivers for this device are not installed (Code 28)." After I heard the Disconnect chime, the status changed to "Currently, the hardware device is not connected to the computer (Code 45)." This repeated every couple of seconds until I disconnected the USB cable. The exact same thing happens when DJI Assistant 2 is running. DJI Assistant 2 never "sees" the RC connected, and the Connect/Disconnect chimes keep playing. 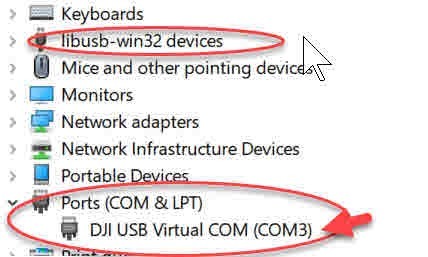 It&apos;s obvious (to me, anyway), that the necessary USB drivers were never installed, either when I earlier installed DJI Assistant 2 or more recently when I installed the simulator. Where can I find and install the USB drivers? "Alright, now that I&apos;ve had a further look around, there is a far easier way to get the Mavic Air RC working and it is what BumblerBee had posted above. In the DJI Simulator install folder (default is: C:\Program Files (x86)\DJI Flight Simulator) there is a file named "dji_usb_5512_64_108.exe". You can simply run this executable and it will install the device drivers for the RC without having to go through the hassle I had outlined in my video I posted above. DJI Assistant 2 isn&apos;t required if you do this. However, if you do use this option, then DJI Assistant 2 does work with the Mavic Air RC! I had read BumblerBee&apos;s post previously, but I guess I didn&apos;t digest it at the time. Now that I try it, it works well for the Mavic Air RC in both Assistant 2 as well as the Simulator!" Thank you, Sato Zoom 2, for pointing me to the solution for this annoying problem. I followed the instructions in that excellent video, and I&apos;m now up and running the DJI Flight Simulator with my Mavic Air. I would never have gotten this to work without your help; thanks again! Now I&apos;m hoping that DJI will get their act together and resolve this for users who install the flight simulator in the future. Nobody should have to jump through so many hoops to get a piece of software up and running. 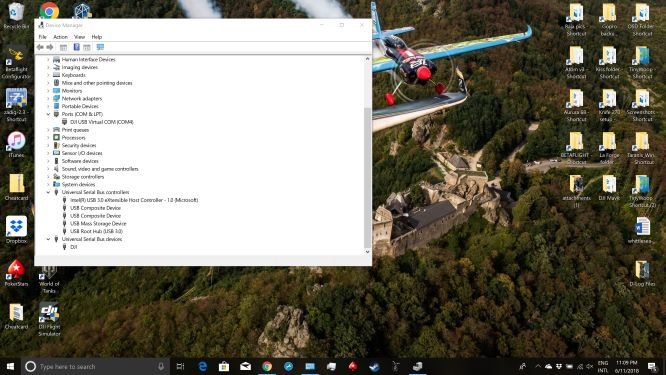 My Mavic Air remote controller now connects to the PC via USB, and I can now use the flight simulator software. 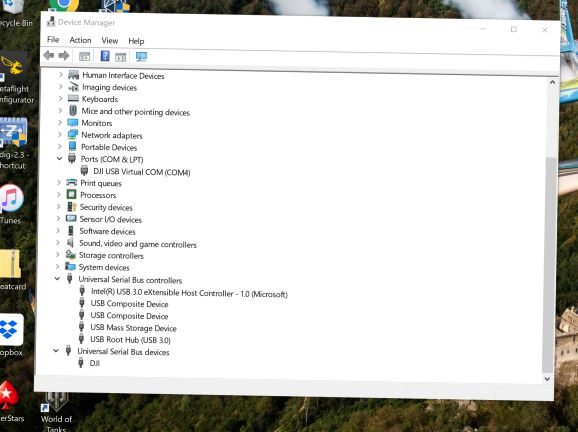 The problem was caused by the fact that the USB driver provided for the remote controller is unsigned, and Windows refused to install an unsigned driver, for security reasons. The video linked to by Sato Zoom 2 in this thread provided me with a method for forcing Windows to install an unsigned driver, and that solved my problem. I have to wonder why DJI would force users to jump through so many hoops just to install and run a flight simulator. For those thousands of users who never visit these forums and discover the solution, they&apos;ll probably never be able to run the flight simulator. NetworkError Error 008_008 (000_0263) what is it? i got the same error after downloading and Starting. Can not use the simulator .. sad. Does no one test the software? Thanks for keeping us updated. Anyway, glad to hear it works now. I&apos;ve reported this to our engineers to review. Sorry for the inconvenience. Is there any chance to check the network and make sure it is well connected? You may also change to another working WiFi to verify. If the issue remains, please kindly offer the screenshot for further assistance, thank you! Sir, could you refer to 20# and keep us updated on the latest progress? Thank you so much! What installation location did you change to? I am having the same problem. I have no way of knowing whether I made the smartest choice, but it worked. I pointed the program to where the flight simulator was installed, C:\Program Files (x86)\DJI Flight Simulator. The installation worked, and I&apos;m up and running (though I haven&apos;t played with it much yet). That directory now has more than 8.5 GB of data in it. OK. Thanks. That&apos;s where I installed it as well but mine still comes up "Install". Did you click on the "Install" button? It took me a while to figure out that, after you do the initial installation, there&apos;s still more (a LOT more) to download. After a full installation and download, the DJI Flight Simulator directory will have more than 8.5 GB worth of data and files in it. I think a major problem with the way DJI has packaged this application is the fact that there are two stages involved in getting everything you need, and DJI doesn&apos;t explain this anywhere (at least nowhere I&apos;ve been able to find). 2) click on the big INSTALL button, which downloads a huge amount of data that the program needs to actually render the simulations. I&apos;ve the same error ... Do you have solve ??? [size=14.6667px]1. Deactivate Windows 10 drivers signature check. [size=14.6667px]2. Connect PC USB to micro USB on the DJI Remote. [size=14.6667px]3. Download and Install DJI Assistant. Agree to install both unsigned driver promts. 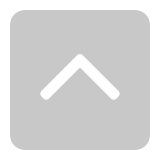 [size=14.6667px]You can run the assistant just to comfirm that the Remote is recognized. [size=14.6667px]And start the DJI simulator, your DJI remote should be working now. Not consider my post !!! I tried to install the DFS, had the same exact issue as you guys. D:\DFS - errors. Now I am trying to run the installed DFS application as ADMINISTRATOR. It seems it needed admin rights to change directories. Hi. I have downloaded the simulator. Filled out the formular. Logged in to my DJI account. 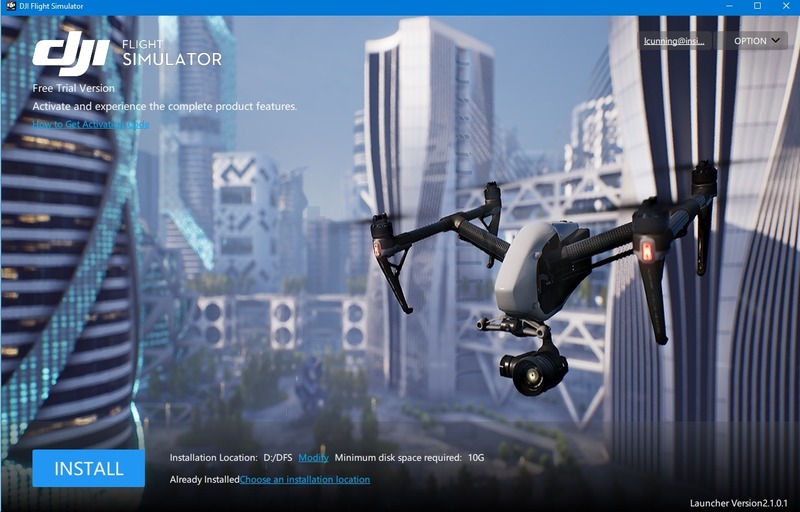 But where to find the activitation code for start the dji simulator. Can you please confirm these the settings you are using with Mavic Pro 2 controller?